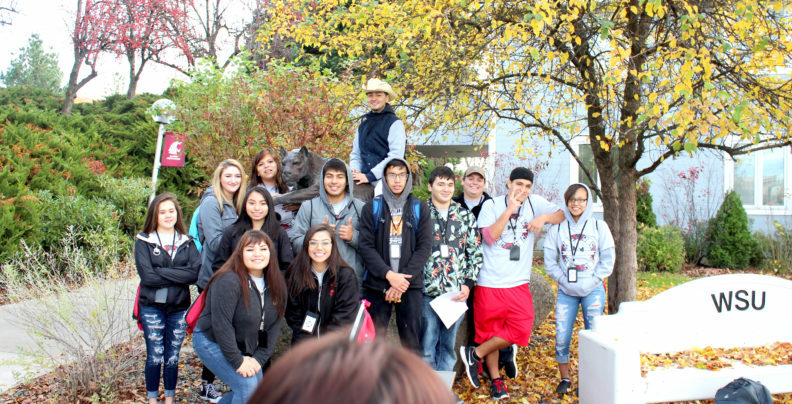 EXCEL is designed to encourage and promote higher education for Native American students and introduce them to the opportunities and experiences at Washington State University. Participants receive important information regarding the application process at WSU, financial aid & scholarships, Native programming and resources at WSU, and more! Native faculty, college students, and members from tribal communities will lead hands on activities, cultural presentations, and college planning workshops. Students will have the opportunity to engage with Native role models and experience life on the WSU campus. All activities, meals, and lodging are provided AT NO COST to students accepted to the program. Please contact Native Outreach Coordinator Tony Brave at 509-335-6718 or via email at: anthony.brave@wsu.edu.